Almost too E-Z! Quality-built, premium steel unit has a strong steel frame, shelves, and dividers with a solid fiberboard back. Interlocking design of the shelves and dividers add extra strength to hold up to the heaviest load. Wide shelf fronts serve as generous label holders. The mail organizer can be placed on the floor, desk or table, and can even be mounted to a wall with optional Wall Mount Brackets (9200BL). Finished Product Weight: 68 lbs. Almost too E-Z! 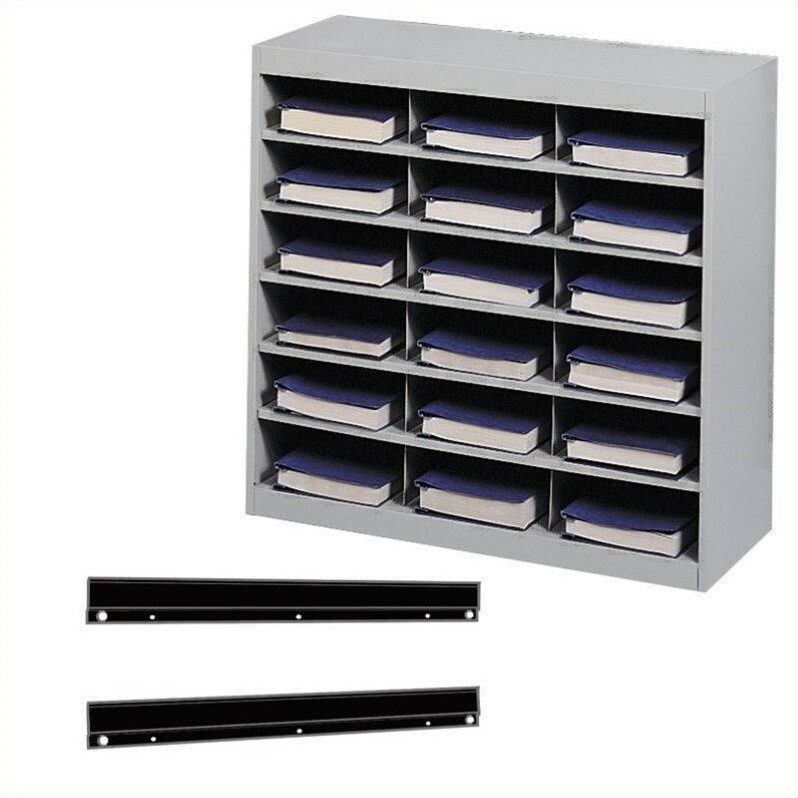 Optional Wall Mount Brackets for steel E-Z Stor® Mail Organizer is designed to fit 24" and 36" compartment steel units for a quick and easy way to access materials. Mount holes on 16" and 24" centers. Wall mounting hardware included.